Top: Polished granite boulder with natural edge. 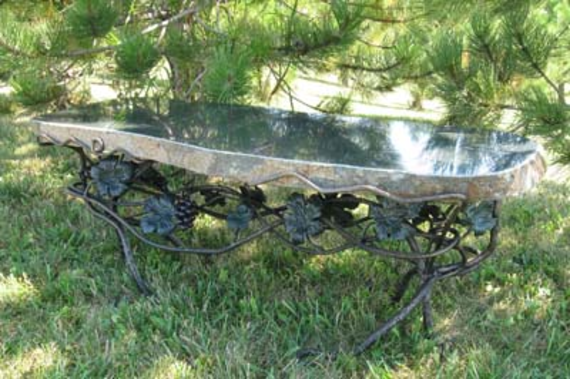 Base: Vineyard design with hand-forged iron made to fit a specific boulder top. Zinc plated and painted for many years of rust-free enjoyment. Perfect for indoors and outdoors.